The overall weighted response rate for the DMM (Dynamics and Motivation for Migration in New Zealand) survey in the March 2007 quarter was 77.9 percent (or 23,465 responses). This survey was carried out for the NZ Department of Statistics. A standout highlight was that social motivations were the main reasons for people moving to their current usual residence (21.7 percent of movers), closely followed by environmental reasons (21.1 percent). This is clearly where our region shines, literally. I feel that as the population ages people tend to look at their life a bit more circumspect. And there’s also the baby boomer factor. 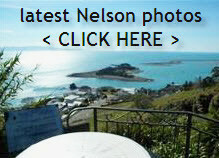 Our Nelson region is well known as an attractive destination for retired folk from other parts of New Zealand. And the latest data coming from our 2006 Census backs that up. We see many folk choosing to move to our area because of the environment and social reasons. Interestingly when comparing these to the reasons why folk won’t move from a region, the survey showed the environment was the overriding factor in influencing their decision to stay. Another area where Nelson shines is in the area of “living near the coastline”. As can be seen from this chart 99% of the population of Nelson live with-in 5km of the coastline. In fact no where else in New Zealand is it better. I’ve always lived within 10km of the sea, except for a few years spent in Sydney when I was younger, and there is nothing more soothing at the end of a particularly long day than driving along the coast on the way home with the windows down and in Nelsons case, having the setting sun bouncing off the sea. And its just as pleasant driving along Rocks Rd at night listening to the sound of the waves breaking. I also remember growing up as a teenager in Nelson back in the 70’s when a trip to the beach was always a short walk, it was never necessary to use 4 wheeled transport. It also follows that if own a home of many of Nelson’s elevated suburbs then you’ll not only get those coastline views, the Boulder Bank, the inlet, Tasman Bay sea views, but more than likely get mountain views too. 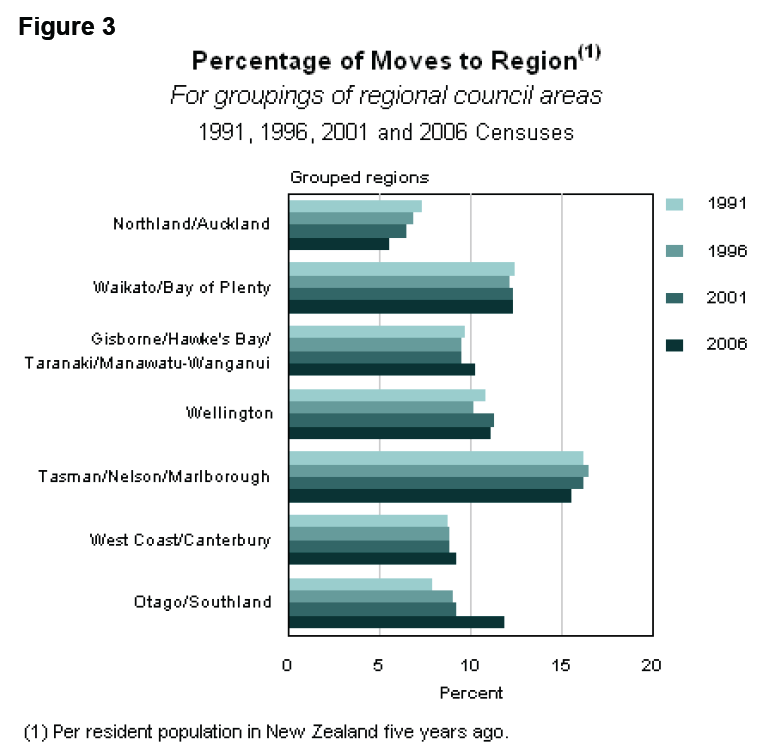 Our population is projected to grow another 7000 between 2006 and 2021 and Tasman regions is slightly higher at an increase of 8000 people. What is happening in the Nelson / Tasman region shows in these results. 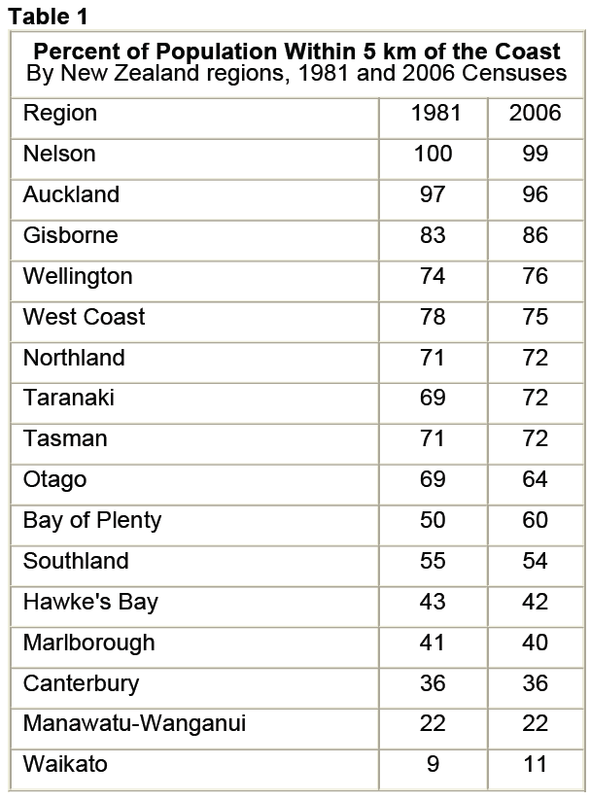 And as if to put the icing on the cake, information/data from our last four census’s, 1991, 1996, 2001 and 2006 makes it abundantly clear what part of NZ is popular, well for the last 17 years at a minimum. From the chart you can see that our region scored the highest percentage of inbound moves.